This colour was not supplied to the public. 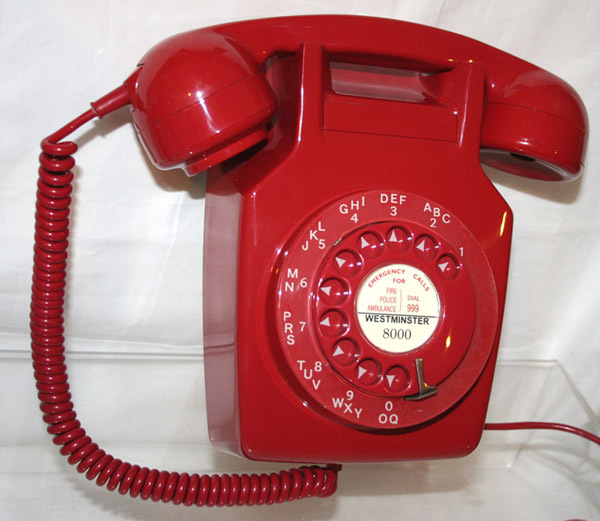 Red was not issued for general use and was saved for telephone exchanges and special order fire phones. They are not at all common and this is only one of a handful I have seen. I have been looking for many years and only turned up two. This is marked 711 GEN 68/1 and GPO batch sampled 8900. 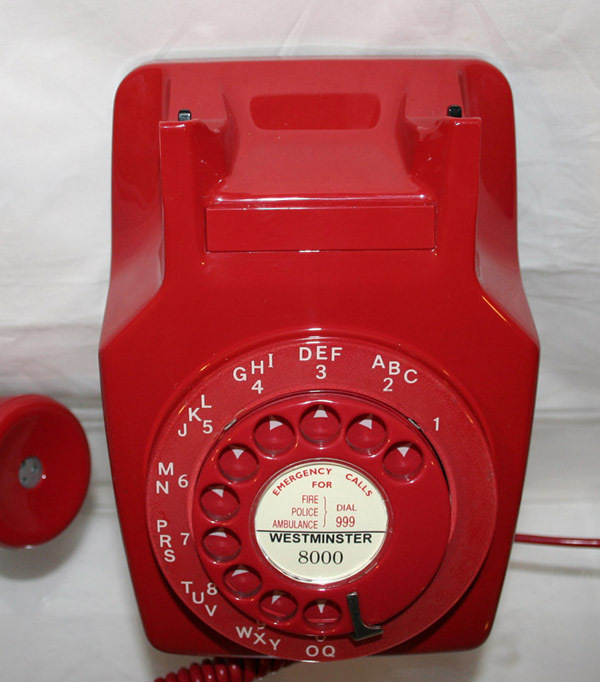 It is in fantastic condition with an original red alpha numeric outside ring, red chevron dial back plate and red finger dial. 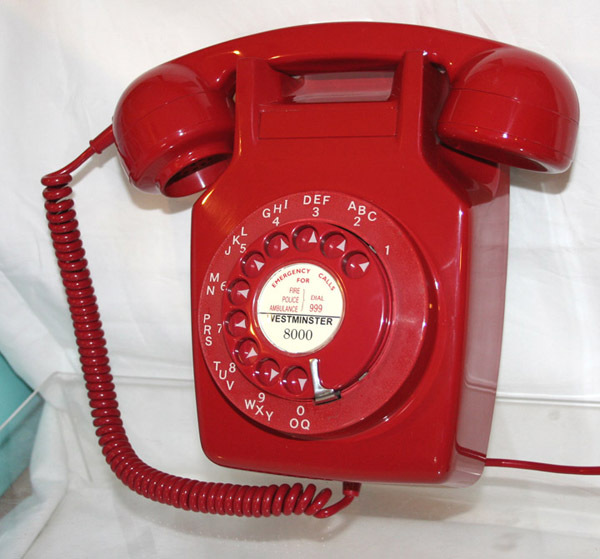 It is fully working to both dial out and receive perfectly has the correct dial GPO wall mounting bracket. GPO model No 711 and dated 1968. Postage and packing is £12 to any <?xml:namespace prefix = st1 ns = "urn:schemas-microsoft-com:office:smarttags" />UK address.